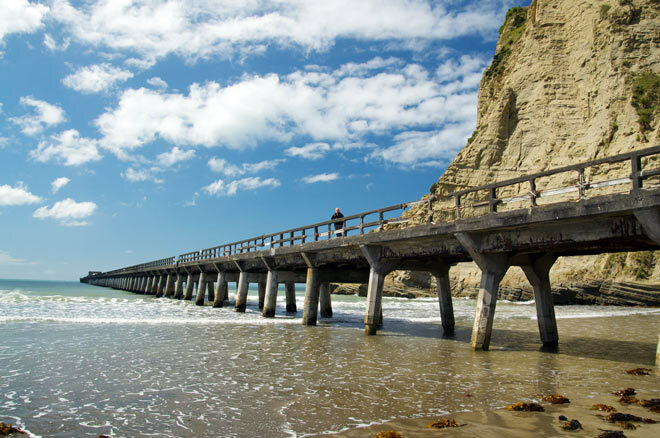 Tolaga Bay wharf, at 600 metres the longest on the coast, is no longer used by coastal shipping. The wharf took three years to build and was completed in 1929, but depression, war and better roads all took a toll and it closed to shipping in 1968. Since then walking the length of the wharf has been popular with both locals and visitors, some of whom also fish from it.